This year has been a great year for the VioVet blog. The year has seen a large increase in the number of people visiting and engaging with our page - with articles that aim to offer useful information, advice and care tips regarding the health of your pets, as well as discussing topical issues you might have heard of in the news - a trend we hope will continue next year too! We have also seen more and more people interacting with these discussions through comments posted on the page, which only go towards further helping our other readers! Cystitis is a common complaint affecting cats. The term cystitis roughly translates to “inflammation of the bladder” and is sometimes referred to as Feline Urologic Syndrome (FUS) or Feline Lower Urinary Tract Disease (FLUTD). 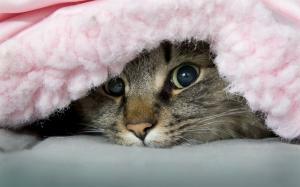 While most cases of human cystitis are a result of infection, cats are more prone to stress-induced cystitis. #9 Why are people stealing gundogs? In 2012, gundog theft occurred on a grand scale across the UK. Some 3,500 dogs (Shooting Times Magazine) were reported stolen from homes, outhouses and kennels during the shooting season, prompting nationwide panic in rural, working-dog communities. A century on from the Great War and here we take a look at one of its most decorated heroes. You may have heard of Sergeant Stubby – the Pit Bull/Boston Terrier mix that started out life as a stray and became the first and only dog to achieve the rank of sergeant during the First World War. Winter is here and we're wrapping up warm and turning on the heating. We all know the feeling of stepping outside and the shock of cold air hitting our face and lungs; some of us love it but others shiver at the thought of leaving the house! I recently brought home my first kitten and although she was born on a farm and her first few weeks of life were in a stable, she suddenly has no interest in venturing into a muddy garden- snuggling in my dog's pre-warmed bed is much more appealing, until he bounds back in with soggy paws anyway! 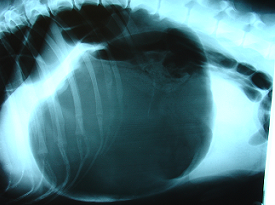 Gastric dilatation-volvulus (GDV) is a condition all dog owners know about and fear. Otherwise known as bloat or gastric/stomach torsion, the condition onsets quickly and can be fatal if left untreated. While it can affect any dog, it is far more prevalent in deep-chested, large breed dogs. #5 How much exercise does my dog need? Several factors can influence the exercise needs of your dog, including its age, breed and state of health. The quality and quantity of exercise needed will vary as your dog ages or experiences periods of weight change or convalescence, so it is important to bear in mind that the exercise needs of your companion are subject to change. Puppies of any breed require far less exercise than their adult counterparts. First-time owners have a tendency to over-exercise their puppies, which can be detrimental to the health of developing joints. If a puppy is over-exercised it will tire quickly and may be susceptible to early-onset arthritis. The Kennel Club suggests a suitable ratio of five minutes exercise for every month of age, for example, ten minutes for a puppy that is two months old, fifteen for a puppy that is three months old etc. #4 Firework season is approaching! How will your pets cope? I once visited a friend and was surprised to find their dog wedged into an impossibly small space beneath a dresser, facing the wall with just its tail sticking out. He risked an occasional nervous peep over his shoulder and looked extremely sorry for himself - somewhat like Eeyore! This was how Sam spent every fireworks night and thunderstorm so everyone just learned to leave him in peace. Brushing our teeth is part and parcel of our everyday routine and most of us wouldn't consider going a day without doing them. Why then should we expect our pets to be comfortable going days on end without having their teeth cleaned? Every day our mouths are subjected to millions of different germs, whether it’s from eating food or chewing pen ends and fingernails, and this is really no different for dogs whose days are also spent eating and chewing. With so many dog foods on the market nowadays, deciding which one is right for your dog can be a confusing process. Yes, variety is a good thing, but too much of it can make the decision more difficult. Dry or wet food? 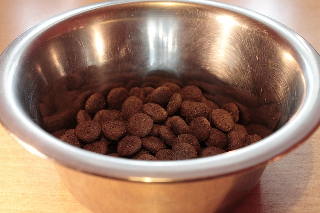 Commercial kibble or home-cooked? Leading brand or supermarket own? Breed or life stage specific? When it comes to dog food, navigating our options is a bit of a minefield. At Christmas time we are all guilty of a bit of festive indulgence and wanting to spoil our pets is only natural. Whilst the odd treat here and there is harmless, it is worth being mindful of the human foods that can be fatal to dogs and cats so we know what to avoid feeding them, particularly at Christmas when these are often disguised in seasonal treats. Everyone knows that dogs cannot eat chocolate; however lesser known toxic foods such as grapes and certain types of vegetable can pose a greater risk to our canine friends than we might realise.